Italy has various unusual accommodations for those who want unique hotels or lodging on their once-in-a-lifetime vacation. Stay in a cave or ​Trulli hotel, live it up in an Italian castle, or enjoy the quiet life in a monastery. Check out these options for unusual accommodations and lodging in Italy. Trulli are unique architectural structures with conical roofs found only in southern Italy. Most of the Trulli are found in the Puglia region near Alberobello and some have been modernized and turned into hotels or vacation apartments. Although rooms can be small, they have a private bath and offer a hotel experience truly unique to southern Italy. The Trulli zone of Alberobello is a UNESCO World Heritage Site. If you've ever dreamed of living like a king or queen, why not stay in a castle hotel or vacation apartment? Castle hotels are often romantic or luxurious and have great views over the surrounding countryside. Most castle hotels are in central or northern Italy. The selection includes castles in Tuscany, Umbria, Lazio, Piedmont, and Emilia Romagna. The Etruscan Chocohotel bills itself as the first hotel in the world dedicated to chocolate. Chocolate features include a restaurant with a Choco-Menu, a choco store, and three floors of chocolate themed rooms (the Milk Chocolate Floor, the Gianduja Floor, and the Dark Chocolate Floor). There's also an Etruscan theme with Etruscan inspired frescoes decorating the rooms. Another hotel feature is a panoramic terrace with swimming pool (not filled with chocolate). Etruscan Chocohotel is found in Perugia, a lively walled hill town with Etruscan roots in Umbria. The Sassi zone of Matera, in southern Italy, is a fascinating city of ​cave-houses and churches dug out of soft tufa that's now a UNESCO World Heritage Site. Sassi hotels are in caves that have been renovated and modernized and have private baths, internet, air conditioning, and heating. Matera is in the Basilicata region and is a unique Italian city and was the locale used for filming The Passion of the Christ. A masseria is a fortified farmhouse on a country estate found in the region of Puglia. Masseria lodging ranges from rustic to luxurious and most are set in working farms producing olive oil, wine, or produce. Some offer bed and breakfast while others are self-catering. An albergo diffuso is a hotel that's spread out in a historic center of a village or town. There's one central check-in place and the usual hotel services but rooms are in restored buildings in the historic center rather than being all in one place like a usual hotel. Although Italian hotels are rated on a star system of one to five stars, Milan's luxurious Town House Galleria classifies itself as a 7-star hotel. In addition to many high-end services and amenities, each room comes with a personal butler who speaks several languages. 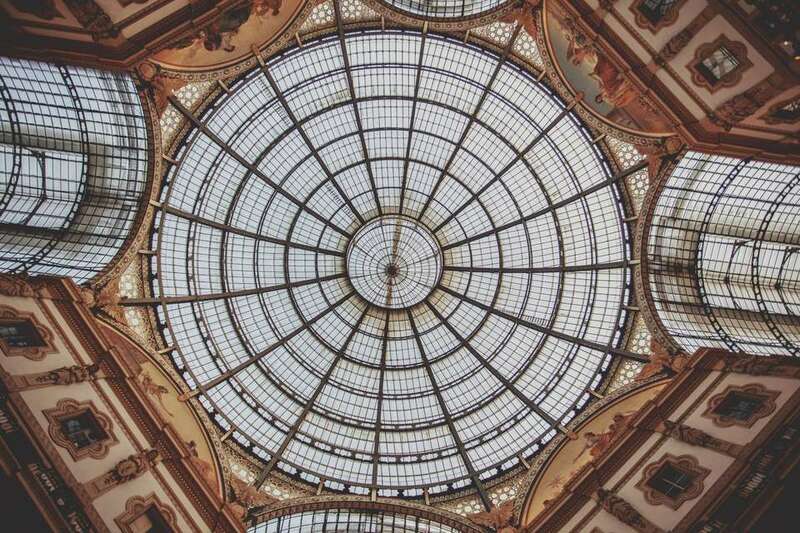 The hotel is inside Milan's historic and elegant Galleria Vittorio Emanuele II, built in 1876 to link Piazza Duomo with La Scala Opera House. Many monasteries and convents have rooms for rent for travelers. These rooms are often economical and some may offer shared baths or kitchens and have curfew hours. If you're looking for a unique cultural experience with safe and quiet accommodations, consider this option. Monasteries and convents with rooms are found throughout Italy, in cities and in the countryside. An entire abandoned village in Tuscany has been restored to make Castelfalfi Resort. Castelfalfi has a comfortable hotel, vacation apartments, and villa rentals for bigger groups. Swimming pools and a spa have been added, local shop-keepers have opened branches of their shops in the village, and there are two restaurants, one inside the castle.